The Guitar Column: Orange Amps Announces.. The Personal Computer? 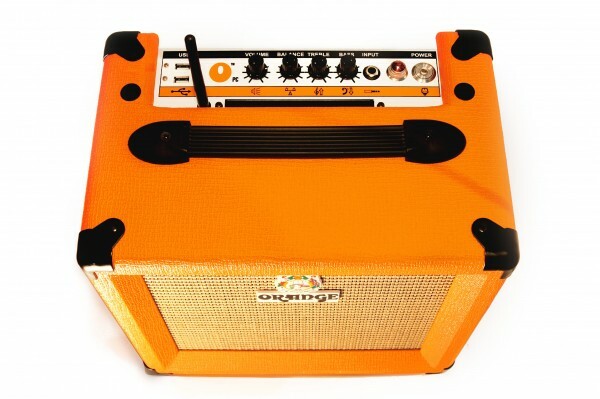 Orange Amps Announces.. The Personal Computer? Orange Amps has announced the first guitar amp that incorporates a PC. Or is it a PC that incorporates a guitar amp? Now which wise-acre thought this one up? Looks like guitar amplifiers are going the one-year-to-obsolescence route too. This one is anyway. And if computer hardware specs get you goin', the Orange Personal Computer is "a fully fledged computer with 4GB DDR2 RAM, 500GB Hard Drive, Intel chips, Windows 7 x64 home premium, 8 x USB2.0 ports, is Wi-Fi enabled and has an integrated GeForce 9300 graphics card with an optional dedicated ATI 5670 512MB card." 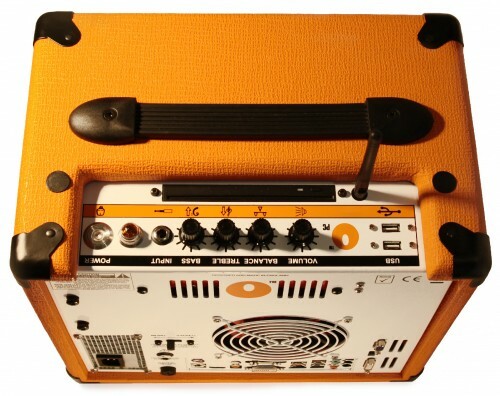 Using the included yet-unspecified music software and modelling technology based on Orange amps past-and-present, the user can record and playback directly from the in-built PC. Ok, we've had this technology for about a decade now, albeit in separate, individually upgradeable components. Nothing bad about that. Computer acting up? Get it fixed, or ditch it and get a new one. Digging the latest amp simulation gizmo? eBay the old one for a few bucks. Craving the latest music production software featuring Quantize templates based on the rhythmic feels of Eddie Van Halen, Mike Landau and Bo Diddley, zero-latency effects plug-ins, and 200 tracks with 900 levels of Undo? Well, you get the idea. This thing looks to me like more landfill fodder. Leave a comment and tell me what you think. The OPC is due for a June 2010 release. Yeah, and this is the equivalent of a microwave/blender/toaster. I really like your blog.Thanks for sharing such a wonderful information. Search For Guitar Stuff Here! Take A Break From Guitar! Steve Vai and Orianthi on American Idol! 12-Year Old Guitar Prodigy Andreas Varady! Leon McAuliffe 1950 Fender Broadcaster on eBay! Copyright © 2009 - 2018 Clinton Carnegie - All Rights Reserved. Content may only be downloaded for personal use. Users are forbidden to reproduce, republish, redistribute, or resell any materials from this website in either machine-readable form or any other form without permission. Certain images remain the property of their respective owners.